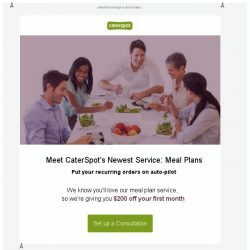 Caterspot is an online marketplace that connects companies and people with great local catering options. 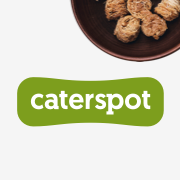 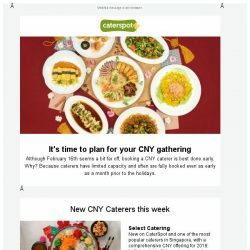 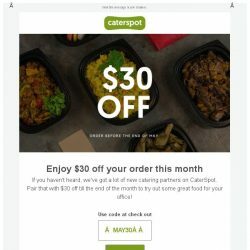 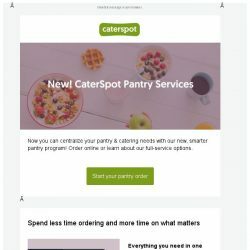 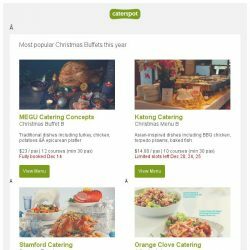 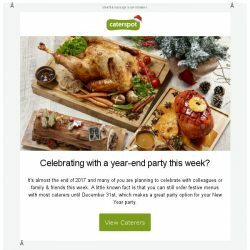 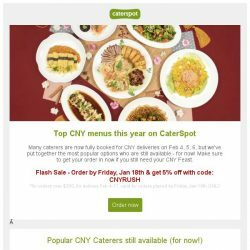 Caterspot offers users the possibility to order 600+ catering menus and packs from a curated list of caterers and restaurants in Singapore and Hong Kong. 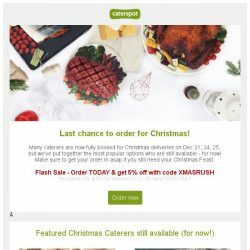 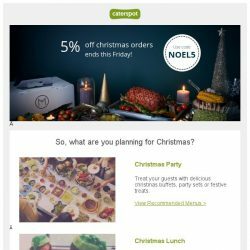 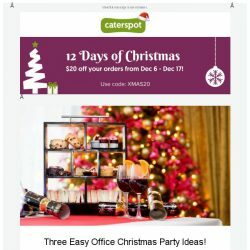 [CaterSpot] Last chance for Christmas orders – Enjoy Flash 5% off today! 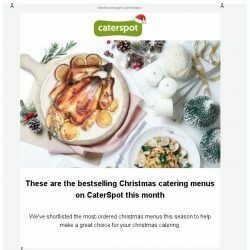 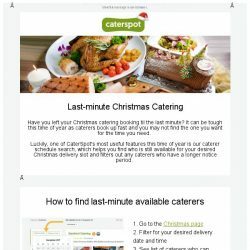 [CaterSpot] Time to order your Christmas Catering – caterers book up fast! 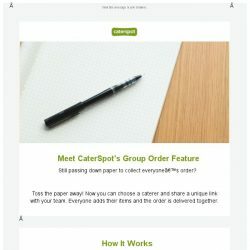 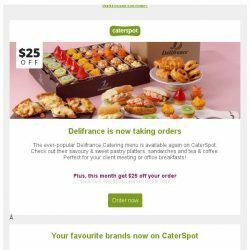 [CaterSpot] New – Group ordering feature! 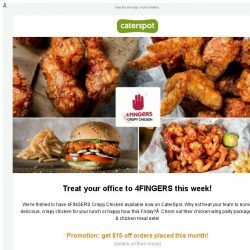 [CaterSpot] Treat your office to 4Fingers this week! 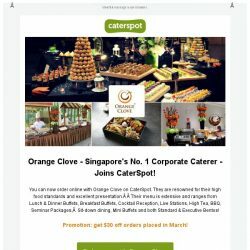 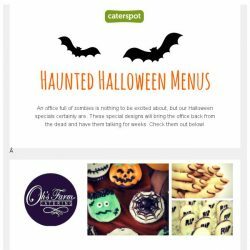 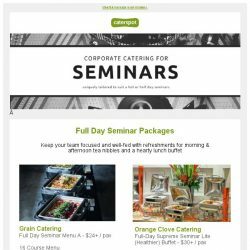 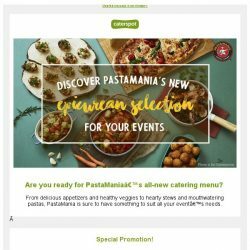 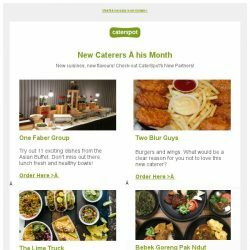 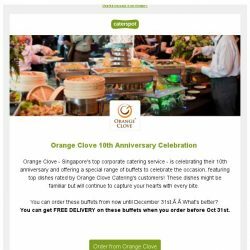 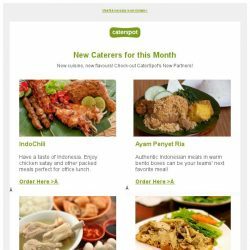 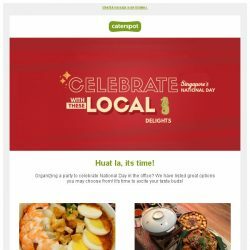 [CaterSpot] New on CaterSpot – Orange Clove Catering, Saveur & many more! 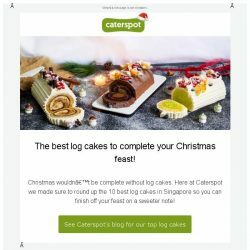 [CaterSpot] The best log cakes to complete your Christmas feast!